Integrated with Admin Panel to manage news, category, notification and many more anytime and everytime you want. 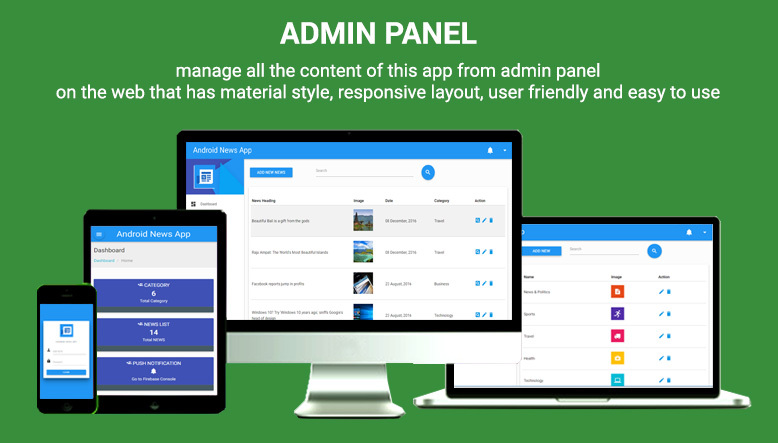 Admin Panel side developed using PHP and MySQL Database. 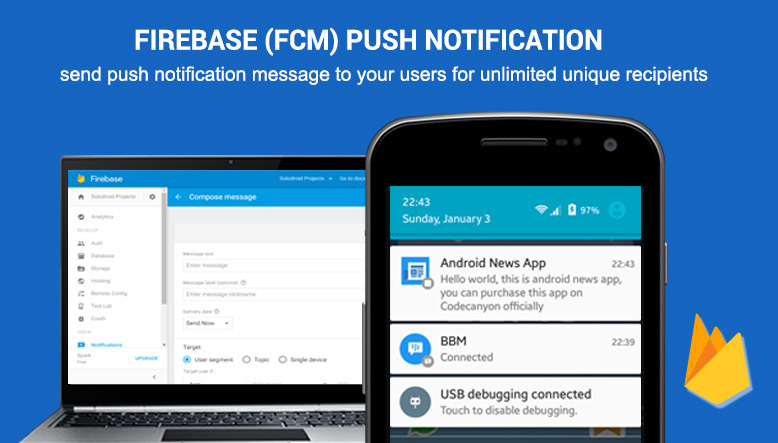 Clean code and good design is main priority, by using this app, you can save your money and time in creating app for your own native mobile news app. good app for all kind of news category..expecting more apps from this developer to download. I will give 5 star rating for very very good,clean and quality code. 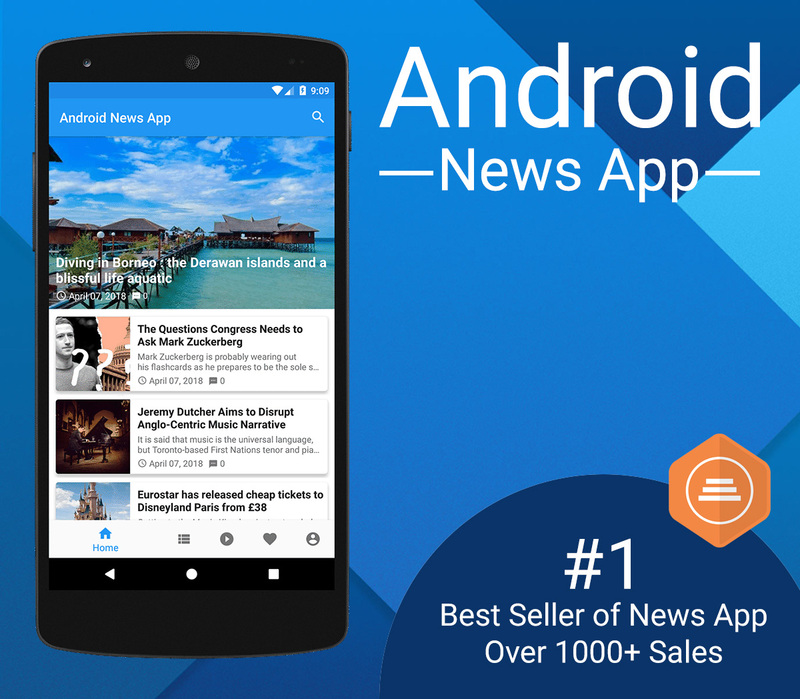 Android news app is the Ultimate news app on present codecanyon store. As a developer solodroid is one of the Good skilled developer he is very busy in his work but he always give is best to his clients. Lot of other developers are asking extra money for small fixes. But solodroid is different from others. Because he knows the value of customers and he respect his clients. I strongly recommend this developer apps to buy every one .Because he will give more no of features to his scripts at a lower cost price.i am 100% satisfied with his app scripts. I hope he will develop more no of good apps to us. I wish he will definitely become one of the top developer in codecanyon… May God bless you friend. 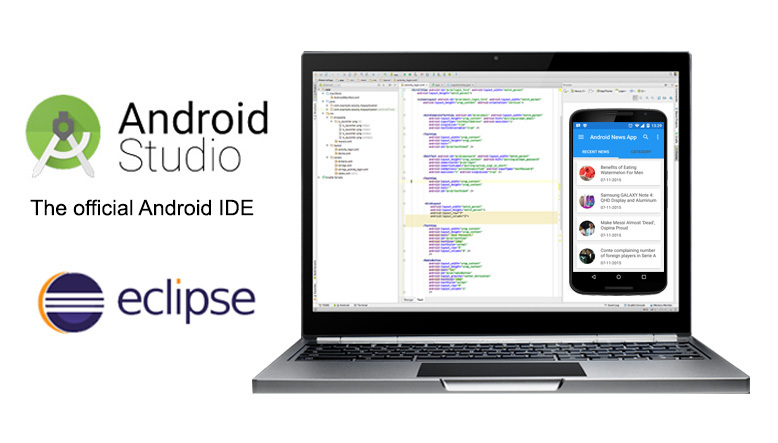 # Latest Android Studio support Suggestion to team: Raise the price for this App. The back-end is great. 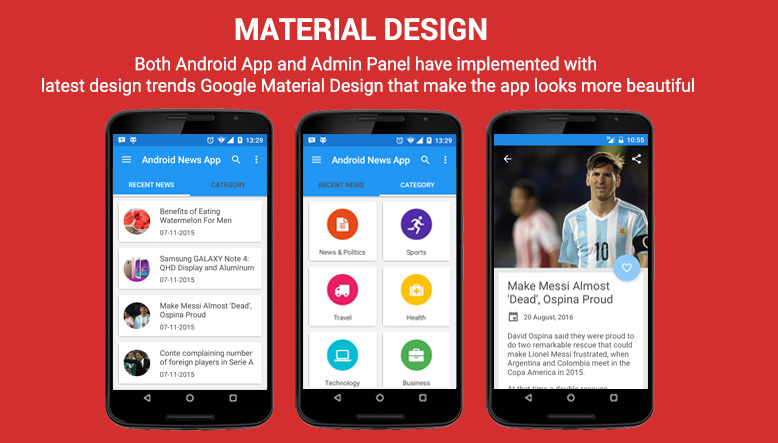 App design can be improved upon. It’s not have post update option, Please update it. Finally found The best app have come across after wasting my money with others. well documented and very easy to install I did not need customer support at all. Documentation for the code is very clear that anyone without coding knowledge can use it. Response from author is also very quick for fixing the issues. Not updated from last 1 year. Not working on new Android versions. Good coding done and good support given. Good because always updated too !! Fantastic App. Suits my Concept. Good and Fast support, perfect app and PHP admin panel. I love this app, only thing is that this need more functions like comment a news or rate a news article. Nice App Good Support …………. Clean Code With Attractive Design, Thanks. 5- Starts : Not just for the customer support but definitely for the code quality,features and documentation.. Person like me who know nothing about Android Studio made an app within half hour.. Thank you Team Solodroid.. Yes, a five-star deserves to solodroid team. 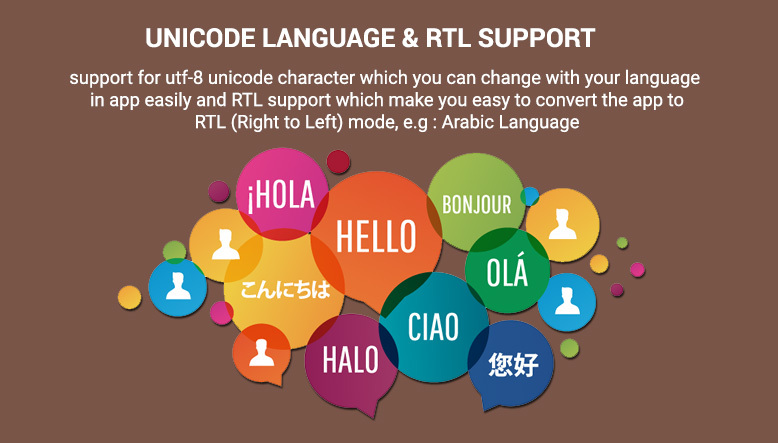 Not only to provide assistance to customers, but also responsive in every issue we face associated with this application quickly and accurately. No words other than the BEST! Success accompanies you ‘gan’ solodroid. Wordpress Licensing System does not require the Auth PHP Class, So you can deploy the keys on any platform or scripting language. With the addition of a match string as a second level of security, The end-user would be required to supply a valid key along with the corresponding match key.